Within the China-Pakistan Economic Corridor (CPEC) there are several opportunities for Pakistan to increase its agricultural exports to China. Researchers assessed the scope of agricultural cooperation within CPEC between China and Pakistan and the current obstacles to Pakistan maximising its agricultural exports to China. Researchers found that better tariff structures, promoting research and development, and encouraging cooperation between actors along the value chain could assist in the development of Pakistan’s agricultural exports. The China-Pakistan Economic Corridor (CPEC) represents a prime opportunity for Pakistan to galvanise its economy, with massive infrastructure projects for energy and transport already underway. Through these projects, there is significant scope for Pakistan to realign its economic relationship with its larger Chinese neighbour. Though much focus has been on how Pakistan can take advantage of CPEC to expand its industrial sector, agriculture in the country should also be considered. Agriculture and food products comprise 18% of Pakistan’s exports, with exports to China accounting for 8% of this figure. Conversely, Pakistan’s agro and agro-processed imports constitute a meagre 0.4% of China’s global agro imports. Pakistan can capitalise on the opportunities afforded by CPEC to import more high-value agricultural products into the growing Chinese market. In this project, researchers focused on the issues faced by agricultural commodities with the highest export potential, including rice, citrus, fruit juices, and mango pulp, in order to inform the Pakistani government’s plan for CPEC. Researchers analysed the issues of their domestic value chains, competitiveness, and the tariff and non-tariff barriers faced by each product. Researchers also held focus groups sessions with value chain stakeholders. The findings suggested that many of Pakistan’s rice, citrus, and processed fruit exports to China remain low. 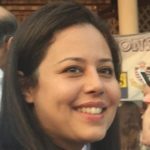 This can be attributed to a series of factors including high tariffs faced by Pakistan, agricultural competition, outdated harvesting techniques, and a lack of coordination between key value chain players. The researchers recommended that in order to exploit the growing Chinese market for agricultural imports, the government of Pakistan needs to alleviate barriers to exports by negotiating better tariff structures, promoting research and development through technology partnerships, and encouraging cooperation between actors of value chain.